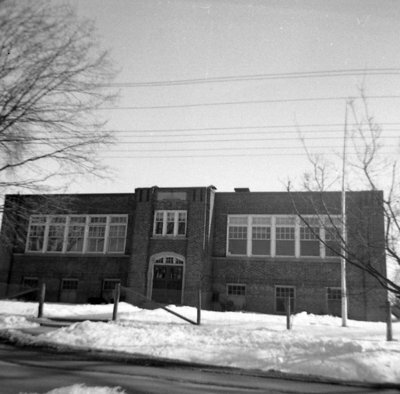 Black and white photograph of the Brock Street Public School in the winter. View is of the front of the school. Brock Street Public School, March 1962, Brian Winter, Whitby Archives A2013_004_189.